National Ice Cream Day is this Sunday, July 16! What better time to share an ice cream gift with your employees? Bring a little summer into your workplace with an ice cream gift employees will appreciate and enjoy sharing with friends and family. 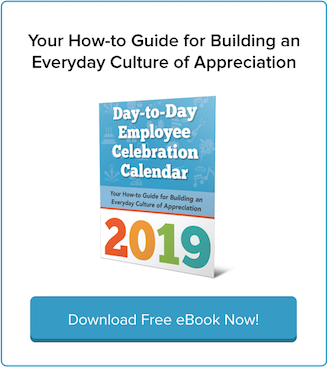 Summertime appreciation gifts keep employees engaged through the distractions of the season. “Savvy companies maintain staff productivity and morale by embracing summer in the workplace,” says Brandi Britton of staffing firm OfficeTeam, which recently released survey results on what employees want most for summer engagement. Employee appreciation gifts for the 4th of July are the perfect summertime “Thank You.” Delight the whole family with gift certificates for ice cream, pie, or turkey or ham from gThankYou. Employee Appreciation Gift Certificates Delight All! Everyone values being appreciated – especially in the workplace! A thoughtful employee appreciation gift certificate communicates you care. It doesn’t have to be expensive or elaborate but does need to be delivered with your sincere thanks. Gratitude comes naturally this time of year, as winter fades and the warm sun of spring melts snow and brings up flowers and the fresh optimism of the season. 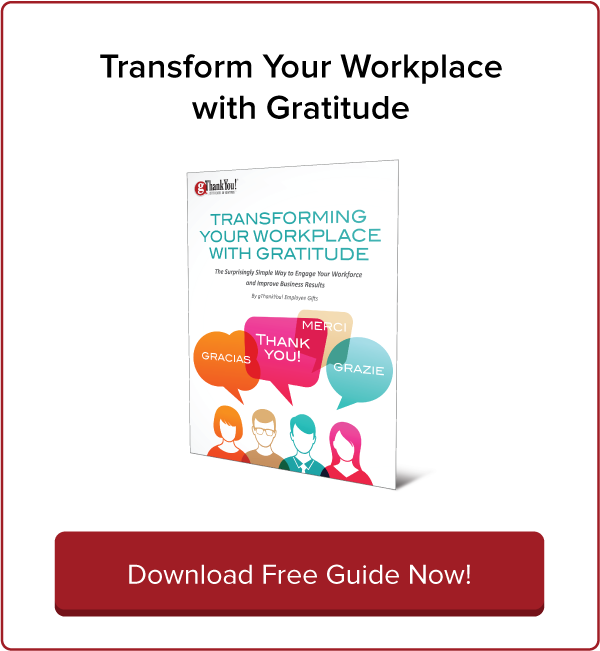 What better time to take stock of why you’re grateful for your coworkers and employees? Happy July — and National Ice Cream Month! This is the month to celebrate our love of all things ice cream. Today, July 1, is even National Creative Flavor Ice Cream Day. It sounds like every manager’s nightmare. How do you get people excited about being at work when they’re nursing hangovers and all too eager to discuss the previous night’s game instead staying on task? gThankYou! Poll: What’s Your Favorite Ice Cream Flavor? Here at gThankYou! in lovely Madison, Wisconsin, we think there’s no more enjoyable and tasty way to beat July’s summer heat than with a cool, creamy treat. And there’s no better time to do it, either. Those in the business of Thanks rarely get a chance to see it in action first-hand. But that’s what happened recently when gThankYou was among a select group of professional gift pros highlighted in a story in the October Business Beat Magazine. gThankYou!, America’s employee gift certificate leader, announces New Free Enclosure Card designs. What’s better than a triple scoop cone on a hot summer day? 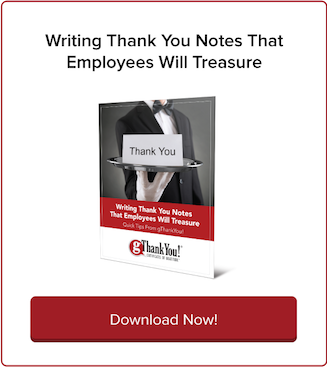 A free enclosure card from gThankYou that says “Thanks for a job well done!”. We’re big fans of Ice Cream Sundaes, as well as lists. So it was great fun pouring over some lists of the top Ice Cream Sundaes. The Ice Cream Sundae remains among the most simple, yet elegant desserts. We don’t want to start any arguments or anything, but an informal poll of ice cream lovers here has revealed that, hands down, the Best Ice Cream Dessert is (drum roll please…) Ice Cream Cake! We’re halfway through July and would be remiss if we didn’t mention that this month is National Ice Cream Month! In fact, this Sunday, July 18, is National Ice Cream Day. An employee reportedly informed the vice president that the shop served custard, not ice cream. What’s the most unusual thing you’ve eaten on top of your ice cream? How about buttered popcorn? Check out this list of unusual if not weird ice cream toppings from InStyle Magazine. Celebrate Success with New Ice Cream Certificates from gThankYou. 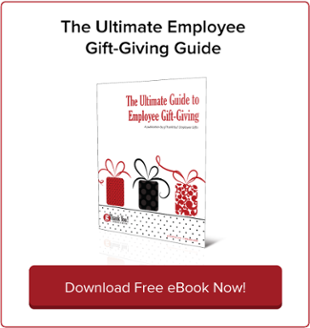 Employee gift expert gThankYou has introduced Ice Cream Gift Certificates, a new and fun way for companies to engage employees and say “Thank You” for a job well done.